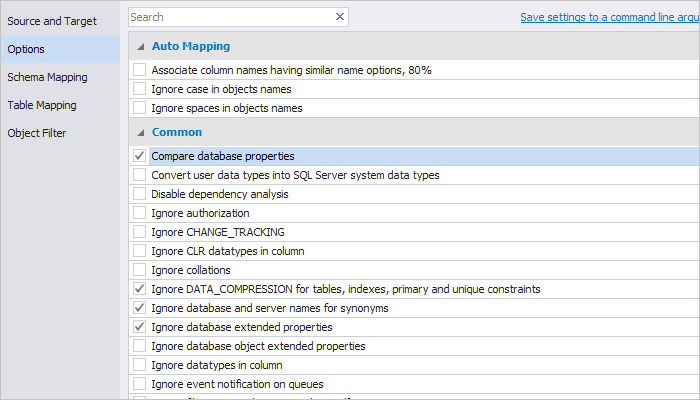 Grab the full power to handle changes in your databases with dbForge Compare Bundle for SQL Server. 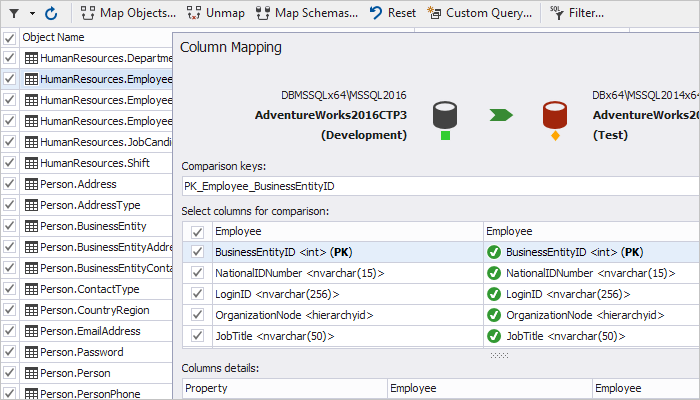 It will save you hours of work comparing and deploying SQL Server databases. 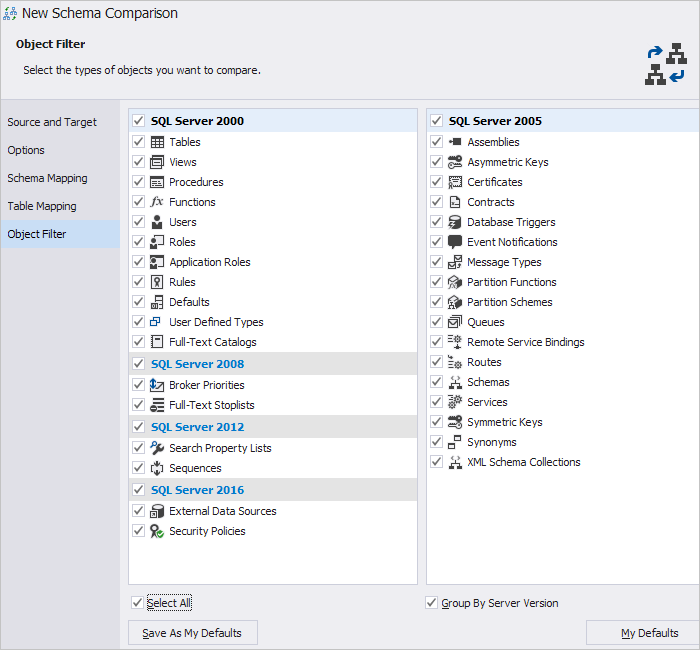 SQL Compare Bundle contains two separate tools, dbForge Schema Compare for SQL Server and dbForge Data Compare for SQL Server, and offers a significant discount if compared with purchasing each tool separately. Convenient comparison wizards will help you to tune data and schema comparisons up to your needs. 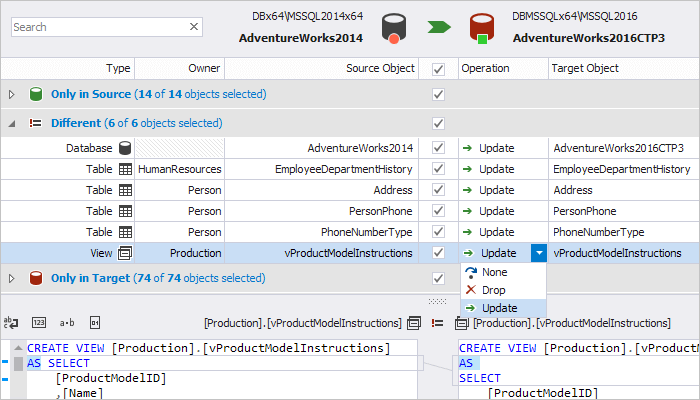 General comparison options, allowing to include/exclude certain object types, database properties, etc. 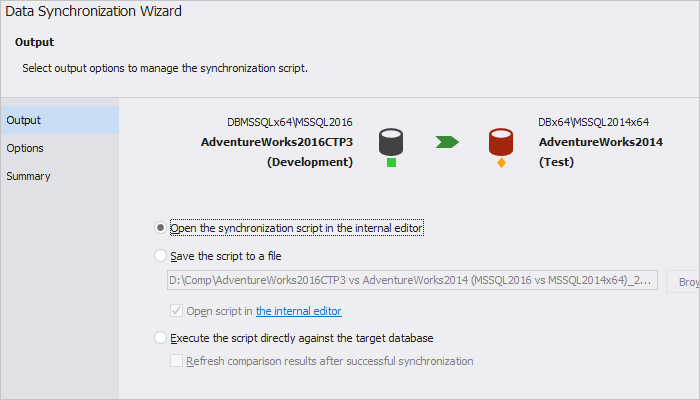 With command-line interface and Windows task scheduler, you can setup periodical data synchronization that can be customized using file with comparison options settings you can create in New Data Comparison Wizard or directly in the command-line interface.